There are plenty of avenues you can pursue if you would like help with smoking cessation in Liverpool and one great place to start is to ask your dentist. At Fiveways Dental we want everyone to be aware of the link between smoking and oral health so that they can look out for warning signs of smoking related illnesses and take action. We all know that smoking can have dire effects on the lungs and throat but the link between smoking and oral health is equally profound. Smoking affects the teeth and gums in a number of ways and can do so very, very quickly. Smoking just one cigarette will affect the way your breath smells and it doesn’t take many more for you to begin to see yellow staining on the teeth. Many long-term smokers complain of teeth that are permanently stained brown and the repercussions of this are much more than purely aesthetic. When you smoke, your teeth become stained with nicotine and tobacco. This leads to a built up of plaque and bacteria. At best, this will mean that your teeth need to be professionally cleaned and polished more often. At worst, harbouring bacteria in the mouth can lead to a number of serious conditions. Smoke free Liverpool offers some excellent help towards smoking cessation in Liverpool. You can look them up directly or ask us in the clinic for more information. One of the most common ways that smoking affects teeth is by causing gum disease. The buildup of bacterial plaque in the mouth, which is usually much worse in people who inhale nicotine and tobacco, can lead to gum disease. The fact that smoking limits the amount of oxygen in the blood can then mean that the gums fail to heal properly and this in turn may cause the gum disease to worsen. Gum disease is a the leading cause of tooth loss in the UK. If you are a smoker and you have noticed a buildup of plaque or bleeding gums it is a good idea to approach us for help with smoking cessation in Liverpool now, before the problem becomes a lot more serious. 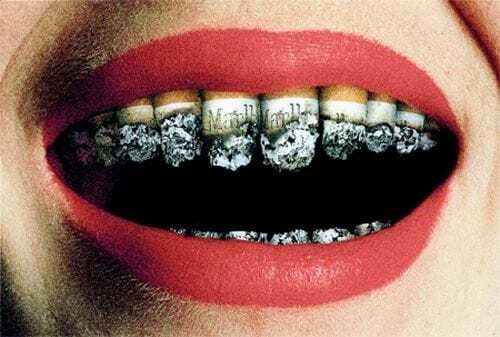 It is not a pleasant prospect but sadly mouth cancer is a very real link between smoking and oral health. If you are a smoker it is imperative that you attend regular dental check ups so that we can monitor your mouth for signs of possible effects. Ideally it would be a great idea to seek our help in relation to smoking cessation in Liverpool. You don’t need to do it alone. There is support available if you are seeking help with smoking cessation in Liverpool. Call Fiveways Dental anytime for details. This entry was posted in Preventative Dentistry, Smoking Cessation and tagged Liverpool oral health, Liverpool smokers, Liverpool smoking, oral health and smoking, oral health Liverpool, smokers Liverpool, smoking, smoking and oral health, smoking cessation, smoking cessation in Liverpool, smoking in Liverpool on 28th September, 2016 by Fiveway Dental.